So how are you feeling about this mystery quilt? Are you loving it? Are you wondering what I've gotten you into? Trust me it's going to be mind blowing when you see it. ;) This weekend we branched out slightly. We picked up some sewing machines to work on and return to their owner. We'll see how this goes. It's a new adventure that's for sure. Now let's see what we need to do in step 3. 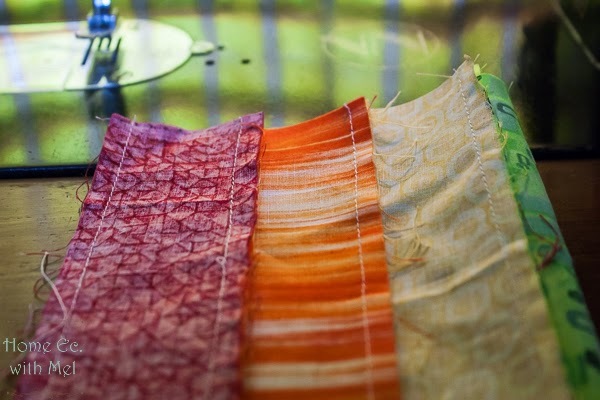 Right now we have 6 strip sets, each made up of 7 strips. 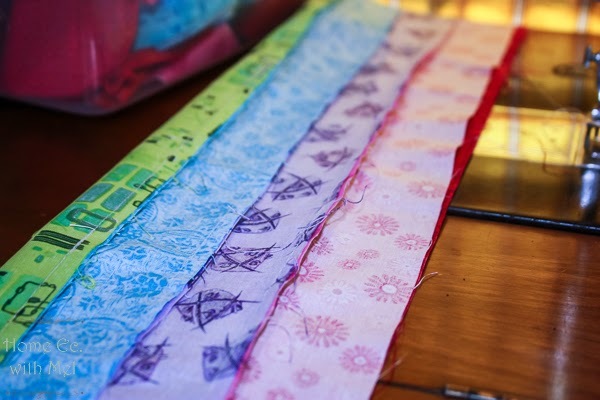 We are going to turn them into tubes, To make a tube you need to sew the pink strip to the red strip. Do this to all 6 strip sets. Make sure your edges are lined up. I just wanted to show you how it should look. Right now you'll have 12 strips in each stack. You should also have a little bit left over from the strip sets. 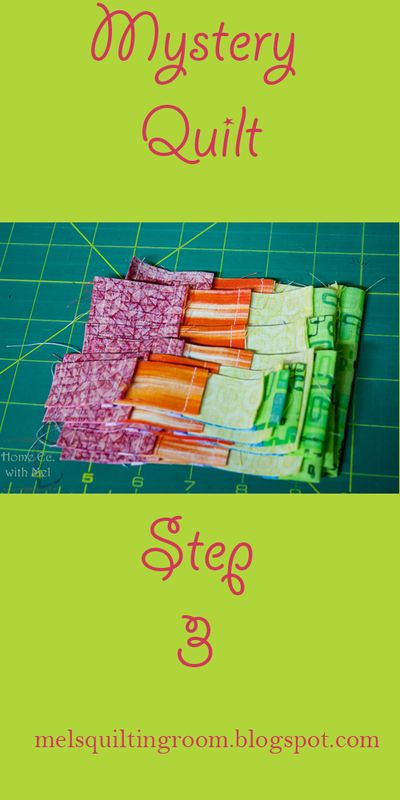 Cut two additional strip for each width listed above so that you have a total of 14 strips in each stack. That's it for this week. Do you have a guess what we are making? Leave it in the comments below. I don't understand 'Cut two additional strip for each width listed above so that you have a total of 14 strips in each stack'. 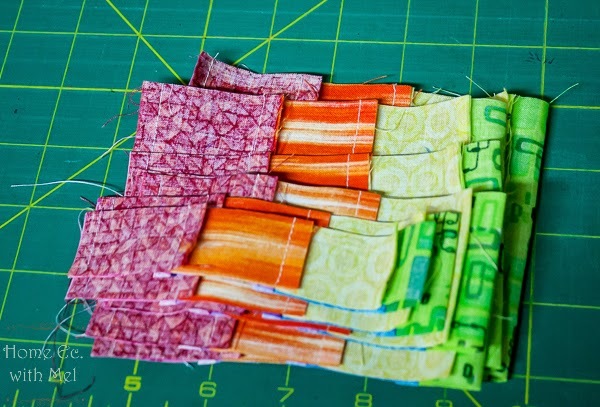 If I followed your strip cutting instruction, I already have 14 in each stack.?? ?